Jasiri Basel hugs a local resident at the Grow Baton Rouge market. Photos by Collin Richie. It’s no secret: Baton Rouge has a food desert problem. For many locals in poorer areas of the city, accessing affordable fresh foods can feel nearly impossible. Most stores that carry fresh fruits and vegetables are clustered in more affluent neighborhoods, making it harder for the elderly, disabled or people without transportation to access them. Jasiri Basel wanted to provide a solution. Basel, the executive director of nonprofit The CEO Mind Foundation, launched the Fresh Cube in 2018 to get affordable, fresh produce to all areas of Baton Rouge. The Fresh Cube is a refrigerated, self-contained mobile market that carries baskets of fresh produce to areas in need. It operates throughout the week as part of the Grow Baton Rouge markets and stops at places like Charles R. Kelly Community Center near Plank Road, Howell Community Park on Winbourne Avenue, Istrouma High School and local senior citizen centers and apartment complexes. The Fresh Cube makes visits to local senior citizen centers. 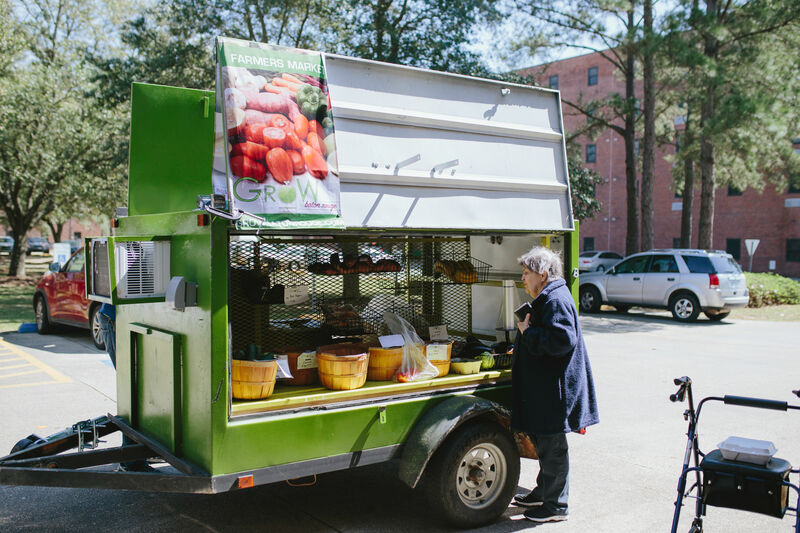 With the Fresh Cube, locals can purchase locally grown fruits and vegetables at one of the Grow Baton Rouge markets for as little as 50 cents each. The market sells a variety of produce, including apples, oranges, bananas, bell peppers, eggplants, squash, kale, lettuce, cabbage, onions, carrots and green beans. Grow Baton Rouge is an offshoot organization of The CEO Mind Foundation. It has established 10 community gardens throughout the city, where neighborhood residents can participate in growing and cultivating vegetables for themselves. Some of the produce is also sold through the regular markets. Basel says the organization plans to add more community gardens and Fresh Cubes to reach more areas of the city where fresh food access is minimal. 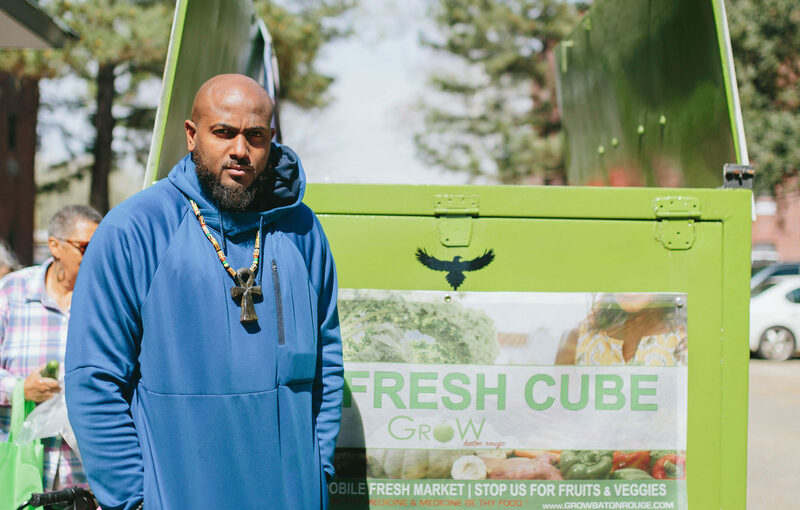 By the end of the year, the goal is to have at least 11 Fresh Cubes rolling around town, providing neighborhoods with healthier options than what they would find at convenience stores and fast food chains. The Fresh Cube operates Monday-Wednesday and Saturdays, 9 a.m.-2:30 p.m., at alternating locations. Hours are subject to change. For updates on the Fresh Cube’s schedule or to register to volunteer with Grow Baton Rouge, visit growbatonrouge.com.